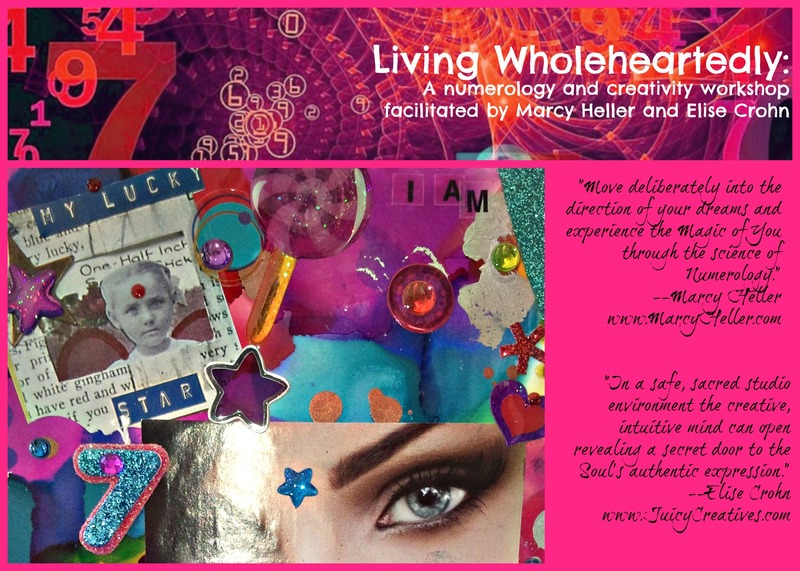 Living Wholeheartedy: Light up your path of Passion and Purpose with Numerology and Creativity. Connect and create with others on the spiritual path. Learn to calculate your own numerology and receive a numerology reading from Marcy. Then, with Elise’s guided imagery and support and an abundance of mixed media supplies translate your life-path and personal year numbers into a powerful collaged Altar Box to inspire your Passion and Purpose. Your altar box can be a sacred space where you go to connect with the Divine, remember your sacred purpose and recommit to following the “Blissipline” of staying true to yourself. Feb. 16th 10-5pm $77 all supplies included. No previous art experience is expected or required!